"We purchased a couple of the 3-station taping modules and have been very pleased ever since. 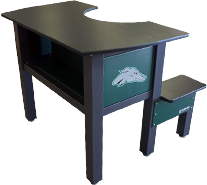 The tables not only allow us to tape efficiently, they give the clinic functional storage while maintaining a sharp, professional look and feel. 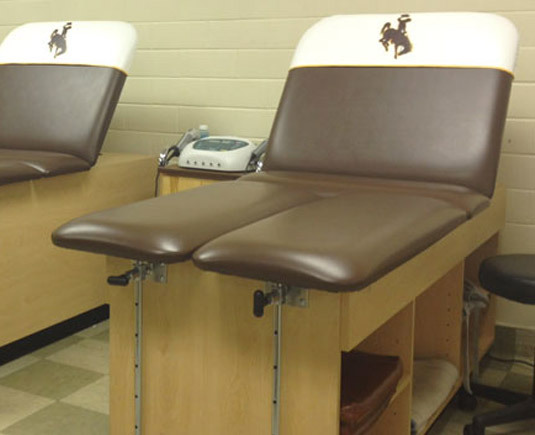 We are constantly getting compliments on how good the taping stations look from our students and athletes. I would highly recommend The Athletic Edge to anyone and thank you for providing such a great product." 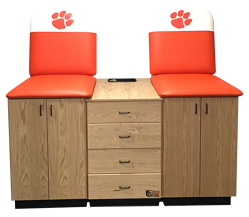 "The Athletic Edge's products not only helped us with making our new athletic training room state of the art, but the quality products help us achieve our goals in providing the student athlete with the best possible health care. Through great and constant communication with the people at The Athletic Edge, we were able to customize our products to best fit our needs. 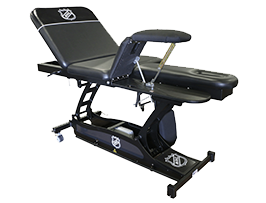 Thank you, The Athletic Edge, for providing us quality customer service and a GREAT product." 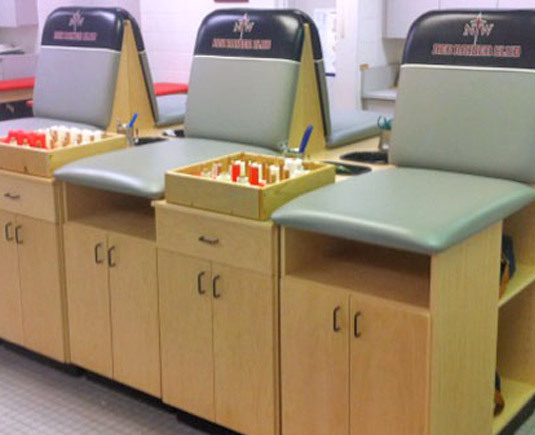 Your college needs athletic training equipment that is durable, high-quality and custom designed! 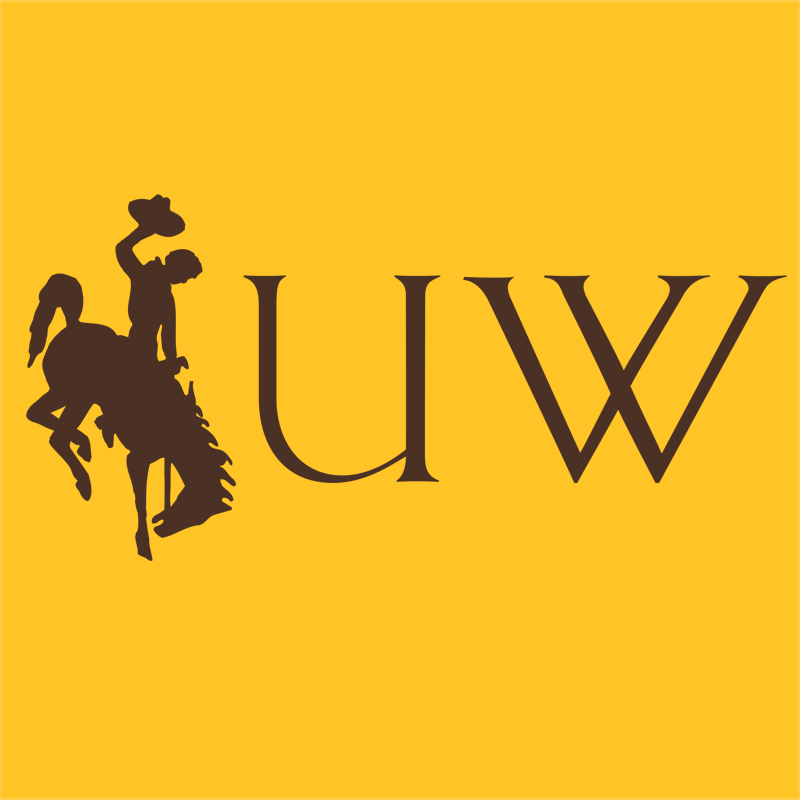 You work with our design professionals to design and manufacture products that are unique to your university.